Calvin L. Smith: Review of Gary Burge's "Whose Land? Whose Promise?" The book begins with a description and historical survey of the land, before moving on to the theme of land ownership in the Old Testament. Burge demonstrates how the land is intimately connected to God’s covenant with Abraham and Israel. Yet control of the land was conditional upon Israel’s faithfulness: “Possession of the land is linked to covenant fidelity” (74). Israel does not actually own the land, rather she is a tenant entrusted with it only as long as she is in a covenant relationship with God. Thus, the promise of the land is indeed eternal, but only provided Israel remains faithful to God. Jesus himself becomes the locus of the holy space… Just as Moses was leading the people of Israel to their promised land, so too, Jesus leads God’s people. But now we learn that Jesus himself is in reality that which the land had offered only in form. To grasp after land is like grasping after bread – when all along we should discover that Jesus is `the bread of life’ (175). Thus, the book argues, the true descendants of Abraham (that is, Christians rather than simply Jews) will inherit the whole world, rather than simply the tiny strip of land which is modern day Israel. Yet Burge cannot quite bring himself to reject fully the notion that the Jews and Judaism retain some special significance in the divine plan, stating that unbelieving Judaism is still beloved of God and retains an `enduring role’. “For the sake of their history, for the sake of the promises made to their ancestors, God will retain a place for Jews in history” (187). But whether Burge is simply suggesting Jewish believers are grafted onto the Church (cf Rom 11:17ff), or else something more substantial, is unclear. The book concludes with a brief survey of Palestinian Christianity, a critique of Christian Zionism (“Many of us within the evangelical church are offended by Christian Zionism”, 246), and highlights Evangelical organisations that reject Christian Zionism. Importantly, Burge offers his readers anecdotal evidence of the maltreatment of Palestinians which those Christian Zionists who take an “Israel right or wrong” stance do well to note and engage with. He also calls for a more balanced and objective Christian treatment of the Israel-Palestine conflict, and throughout the book he draws on his own personal experiences in the region (he was an exchange student in 1970s Lebanon). Yet in drawing so strongly on many emotionally-charged anecdotes from one of the two communities only, Burge falls into the very trap he wants pro-Israeli Christians to avoid. Thus, while much of his material is worthy of scholarly consideration, it is not always objective. Meanwhile, the author’s at times one-sidedness fails to differentiate adequately between Israeli treatment of Palestinian and Israeli Arabs (even though the latter enjoy some rights not found in several Arab countries). Burge also portrays Palestinian Christianity as monolithic, which is not the case, while some of the language he employs is unnecessarily pejorative and compromises his objectivity. After all, it is this very emotion-charged rhetoric that has been one of the enduring problems when exploring this conflict. Moreover, Burge’s focus on the Old Testament theme of treating the alien fairly in order to demonstrate Israel’s failings towards Palestinians today is also partial and one-sided. He fails to discuss how in the Old Testament alien inclusion was covenantal, whereby the alien agreed to become a participatory member of the congregation of Israel and abide by the terms of the covenant. Thus, such a biblical theology argument cannot really be brought to bear on the present conflict. 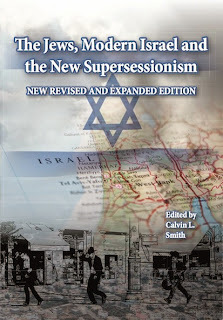 Arguably, too, the book demonstrates a certain naivety in its apparent support for aspects of post-Zionism, given that powerful and extreme voices on the Palestinian side call not only for the complete annihilation of Israel but also the restoration of full Muslim control over the land. It is hard to see, then, how a post-Zionist, multicultural state could possibly survive and exist in peace in the present climate with other than the tiniest of Jewish minorities permitted to remain. Besides, the Gaza pull-out has, if anything, strengthened the extremist voices on the Palestinian side, calling into question some of Burge’s views (written prior to the Gaza pullout) concerning what Israel must do to make peace with the Palestinians. Another problem is how Burge downplays the biblical theme of eschatology. It is indeed true that popular eschatology is often speculative, sensational, and not rooted in good theology. But in reacting against such extremes Burge arguably goes too far the other way, throwing out the eschatological baby with the dispensational bathwater. After all, Heilsgechichte (salvation history) covers the whole of human existence, and if the Church has no overriding eschatological hope to draw upon, what is the point? The eschatological culmination of the age, including its personal and cosmic ramifications, and the promise of spending eternity with Christ are absolutely vital and central aspects of Jesus’ message and mission. Eschatology, then, represents the conclusive outworking of salvation history, while the theme of Israel arguably features strongly in the Bible’s treatment of eschatology. As such, the theme of eschatology in any discussion of whether modern and biblical Israel are one and the same cannot be so lightly dismissed. This downplaying of the biblical theology theme of eschatology is a pity, because biblical theology is precisely one of the stronger points of the book. At a time when biblical theology is back in the ascendancy within academic theology, the focus on land as a biblical theme is useful. Burge’s attempts to counterbalance some of the extreme Christian Zionist views also make this an important book, as does the fact that it contributes to a burgeoning body of scholarly literature exploring the modern state of Israel from a theological perspective. As such, anyone interested in these issues should make sure they read this book. Should have been titled 'Whose Book?' This is so plagiarised from Colin Chapman's Whose Promised Land!! !